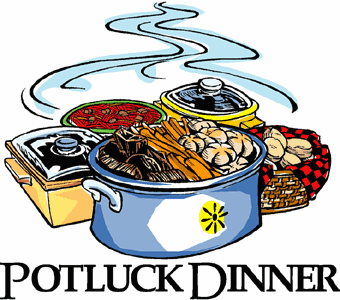 Don't forget that after service this Sunday we're having a potluck and fellowship dinner for seating secton (1). Plan to join us and bring a covered dish. That’s the title of the sermon this Sunday. Really, it is. It’s part 1 of the new series: Elijah – A Man Like Us. You’ll not want to miss this one. Aside from the shocking content, it will be very inspirational and encouraging. A real eye-opener for sure. We'll be talking about standing alone for righteousness, being bold and courageous against wickedness, and the power of prayer. I'm convinced that many people will leave our service more hopeful about desperate situations in their lives than they have been in a long time. Always remember, prayer changes things - if not our circumstances, it changes us. And for the record: Whether you are hungry or hurt, lonely or lost, full of questions or looking for a church home, there’s a place for you at Pace Community Church. Many people today call themselves “followers” of Christ in the sense that I might follow the New York Yankees baseball team. When they win a game I’m happy for a few minutes, and then I get on with my life. When they lose a game I’m disappointed for a few minutes, and then I get on with my life. Churches are filled with people like that: They dabble in Christianity. That’s not what Jesus had in mind when He called us to eternal life. He is seeking people who are absolutely serious about becoming new creations in Him – changed from the inside out - individuals who are zealous, mesmerized, passionate, and completely devoted to mimicking Him down to the last nuance. Disciples. He’s looking for people who will get saved – to the bone – and grow up. Discipleship is not a program. It’s not a ministry. It’s a life-long commitment to a certain lifestyle. My study on discipleship (over the last few months, which resulted in a ten week message series) has been eye-opening to me. If we can get people to attend our services, support our programs, and muster enough loving attitude toward each other, we often feel that’s good enough. In the Bible, the term disciple refers to someone who is a learner or follower who serves as an apprentice under the tutelage of a master (student and rabbi). The apostles are great examples of this relationship between student and master: They followed Him, learning from His words and deeds, and growing through practical, hands-on training. Discipleship means that we are being prepared for a particular lifestyle more than being a member of a club. God’s will is that we become complete and competent followers of Jesus Christ. Not a dabbler. God is not looking for a fan club, moonlighters, or the spare-time Christian. He is looking for disciples – spiritually mature and zealous. This emphasis on discipleship is not going away at PCC because it's the message of the gospel, and it's the mission of the gospel - We are supposed to make disciples. There is no Plan B. It's as simple as that. I'm going to keep preaching it and teaching it until God is through with me. I cringe when someone says “PCC doesn’t offer enough activities.” When I hear that, it's like throwing cold water on me. It implies we are not doing enough, when in fact we are. Our job is to make disciples, not to keep disciples busy. We are disciple-makers, not activity directors. Besides, PCC already offers enough activities to keep anyone “active” if they want to be. We offer more than what smaller churches are able to offer, and yet, we will never be able to offer as many as the big church. Nor will we try. We recognzie that every church, whatever its size, has its own flavor and strengths. We are a medium sized church, and we offer what we offer. Embrace us as we are or consider other alternatives. Furthermore, if PCC provided the amount of activities that some people think we should be offering, I wouldn’t have a life. Or time for my family. There’s a limit to what we can do. At some point, enough is enough. Read two more related posts below…. The Church has a future because Jesus Christ has a future. Martin Luther embraced an important conviction that we fail to embrace today: Jesus is the One building the church, not us. And Jesus is at work even when we are not. 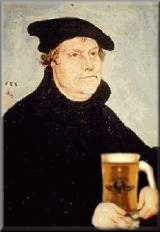 It wasn’t that Luther slept more than he should, or sat around drinking beer with his buddies all the time. Truth is, he worked far too much – like most of us do today – and it took a toll on him. However, he came to realize that God’s Word worked more effectively than he ever could, so he acknowledged that fact. Let’s work for sure. Let’s preach. Let’s provide pastoral care. Let’s speak the gospel to our neighbors. Let us care one for another. But in the end, the Church belongs to the Lord and He's building it up, so it’s okay take some time off to sleep and have a merry heart. I read an article today entitled, “Is Your Church Stressing People Out?” It was very good. The point of the article was that churches typically have so much going on that it pulls families apart instead of together. With a full menu on the docket for meetings, ministries, and activities, there’s hardly a day of the week that someone in the family isn’t at church… and it’s stressing them out. I think that is a fairly accurate list, but you could probably modify it based on your own church. When churches use this model for ministry, about 20% of the people end up doing most of the work and eventually suffer burnout, while the consumers expect even more. Being top-heavy with so many programs and activities also means that there is less family time for everyone involved. And contemporary churches are still struggling to get just 25% of their people involved in small groups. Finally, we reinforce a consumption mentality when we lead people to believe that they need to be reliant on the church for its programs rather than encouraging people to embrace personal disciplines for spiritual growth. The negative impact reaches even farther. Today’s busy pastor has more in common with a YMCA director or business manager than a devout teacher of the Word. The work of a pastor has changed from praying, calling, studying, reading, and sermon preparation to leadership and managerial duties related to sprawling activities on the church calendar. And the laity increasingly sees ministers as employed “program managers” or “event planners” or “activity directors” more than prophets of God. Kind of scary, isn’t it? There’s a lot of stuff NOT on this list that is usually on the church’s to-do list. Yet, it’s closer to a Biblical model for ministry than what we practice today. Plus, it would be more effective because less is more. Love what God did today. It was just a good worship service all the way around. We received communion after a brief talk. The theme of the message and was “remember.” The theme of the music was “remember.” It all fell into place beautifully. I really appreciate the way the ushers handled communion. They served well and pulled it off expertly. And how about that music! Renae and her team were dead on. That new piano player was pretty awesome too. A lot of people, and I mean a lot, told me after service how inspirational the day was for them. Always glad to hear this. I often tell people that we don’t take ourselves too seriously (because we don’t), but we do take God and His Word very seriously. We are normal people, who enjoy each others company, and that’s what makes us such a friendly place. It seems to attract a lot of talent too. Beyond that, we try to put together and conduct the best God-honoring, Christ-exalting worship service we are capable of. Somehow it all comes together and seems to work. After church today, Renae and I had lunch with two other couples from our church family. Really enjoyed it. This is how you get to know people. Attendance was a little off, but giving was very strong. I really appreciate the dedicated, tithing members of PCC who consistently attend, serve, and give. Without them, this ministry would not be possible. I informed the congregation today that Jim Cantore (the weather man) had parachuted in to Pensacola Beach. July is fellowship month at PCC. We will be having dinner on the grounds immediately after service each Sunday. Since we can’t host the entire congregation at once, we are conducting the event by seating section – one section each Sunday. It’s going to be a lot of fun and a great way to forge stronger friendships. It’s a potluck dinner, so be sure to bring a covered dish. One man told me he is bringing pulled pork lion, which means he has already set the bar pretty high. BTW, fish sticks and tater tots not allowed!! I’d like to give a special shout-out to all the volunteers and workers who showed up Friday night to help clean the building after a week of VBS. It was a Herculean effort and it made today’s service possible. Thanks! 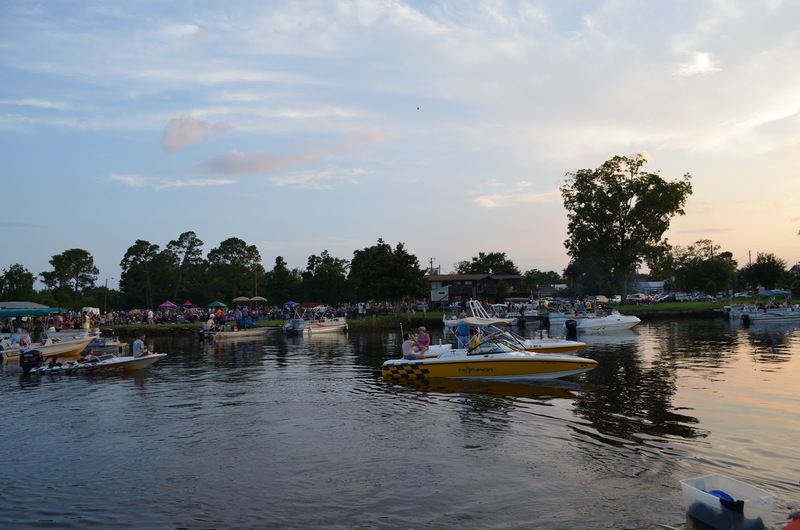 I’ve been spending some quality time on the river in a pontoon boat the last few weeks. It’s been very relaxing and enjoyable. I really like living in Florida near the water. About half of my garden is spent. Within the next week or so I will be tilling it under and getting it ready for summer planting. Will repeat in the fall. Renae and I bought a new (additional) freezer a few weeks ago. It’s already filled up. I’m listening to the news right now and they are saying we could get 20 inches of rain if tropical storm Debby stalls over our area. The news is also reporting that Egypt has elected a new president from the Muslim Brotherhood party. He vows to turn the country into an Islamic nation. This has implications. I'm looking forward to starting the new series next week: Elijah, A Man Like Us. I think it's going to speak to people on a lot of different levels. July is going to be a great month at PCC. Don't miss a Sunday. 1. This Sunday is Communion with some great music. 2. Next Sunday we begin a new message series on the life of Elijah. Beginning in 1 Kings 16, we’ll go verses-by-verse in this teaching series. 3. VBS ends tonight. It’s been a great week for the kids… and a lot of hard work for the people who made it happen. Great job to everyone! 4. July is Fellowship Month. 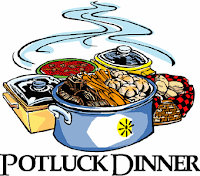 Each Sunday we are having a fellowship dinner immediately after church. Be in service this weekend to find out the details. 5. 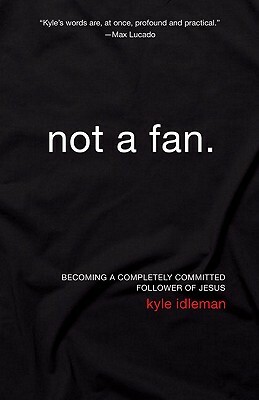 I’m reading this book – Not a Fan – authored by Kyle Idleman. The emphasis of the book is to be a fully devoted follower of Jesus Christ instead of a mere fan. The author talks about surrender, repentance, and brokenness which is a stark contrast to the shallow, bumper-sticker religion of today. The book was suggested to me by Sidney Gill last Sunday who told me she had been reading it during the Discipleship series I had been teaching. The language of the book is very similar to that series too. I wish I had discovered this book sooner, it would have been a great resource. If you like a penetrating message that stabs at the core of casual Christianity, this book is for you. Highly recommended. I’m reading my way through the book “Move” written by Greg Hawkins and Cally Parkinson. Their book is based on research of over 1000 churches and what it reveals about spiritual growth. It takes a hard look at why we fail at producing spiritual growth in believers, and offers suggestions that can be adopted to turn things around. 1. People are not engaged in the Bible when away from the church. We do a good job of teaching the Bible at church, but many people are not in the Word when at home. This is the most crippling of all. 2. Churches are more concerned about activity than individual growth. 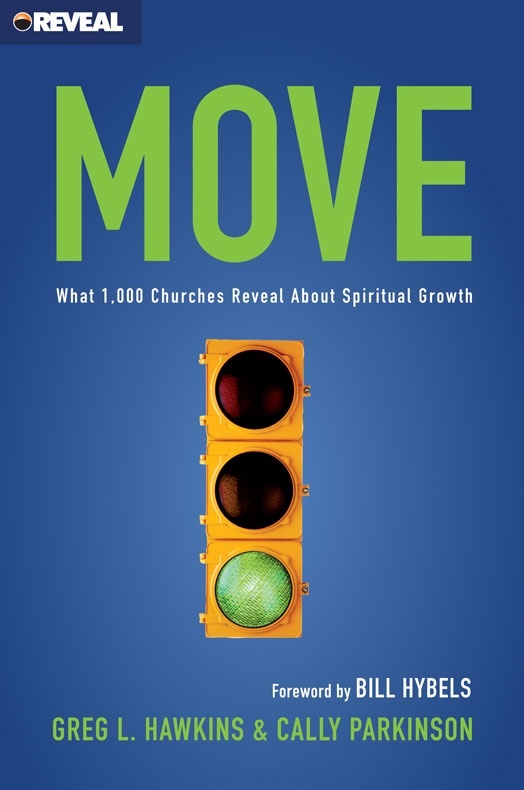 "Increased church activity does not translate into spiritual growth." People can be very involved at church and still have shallow behavior. Ironically, most churches gage spiritual health by how busy someone is at church and then elevates them to leadership, thus repeating the cycle. That is the conclusion of studies conducted in over 1000 churches. 3. The church’s role has not been clarified and expectations have not been right-sized. When it comes to spiritual growth, whose responsibility is it - the church or the individual? The responsibility rests with both. Unfortunately, a lot of people believe the responsibility rests solely with the church. The expectation is that the pastor does all the feeding while the people do all the eating. However, the goal of discipleship is to slowly make believers stand on their own two feet. That is, the church is responsible for helping believers grow to a certain point. After that, they should feed themselves and focus on helping the church with its mission. To do that, expectations must be right sized. Growing Christians must be taught that the church and its leaders cannot and will not do everything for them indefinitely, and at some point they must embrace the habits of spiritual growth for themselves. 5. Refusal to acknowledge that more is NOT better. Based on the findings of the most effective churches, they discovered that the attitude of “more is better” is not the best route, particularly for new people to the church. Instead of offering a ministry buffet with multiple choices of activities, theses churches make one singular pathway a prerequisite to membership and full engagement with the church. 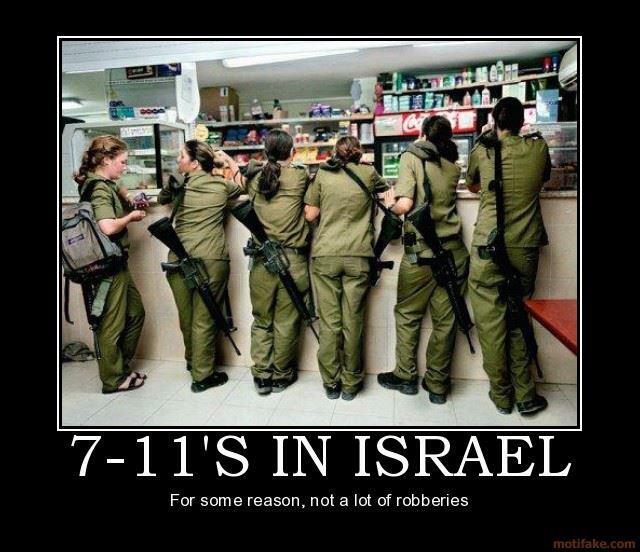 Military service in Israel is required of all citizens when they reach 18 years old. Men, three years. Women, two years. You've got to admire these people. Have we even considered the produces of ABC's Wipeout to help keep our borders safe? Elijah was told to hide himself in a desolate ravine – Cherith. It was one of the many deep ravines that wind their way through the wilderness east of the Jordan River. The name Cherifth means “cut off.” In this stark and dreary place he found himself utterly alone. It’s no easy task to persuade people like you and me to slow down. We’ll do almost anything but rest. In this world, value comes from what we do, and of course, there is always more to do. Life for us is one prolonged and dedicated struggle to fix everything that’s broken. Unfortunately, our work habits carry over to our relationship with the Lord and our work for Him. We’re driven and compulsive in our obedience – always hustling and hoping to do more. Eventually, of course, we get weary and worn down and want to give up. Yet Jesus said His yoke is easy. Could it be? Jesus promised us rest. Is that possible? 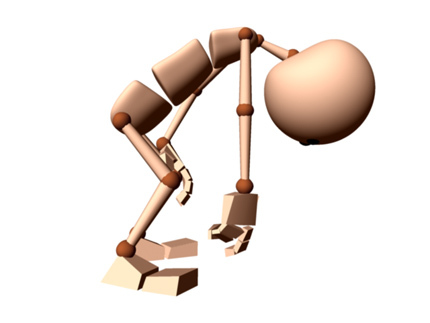 Why, then, are so many of God’s faithful workers and ministers experiencing stress fractures? Why are so many servants of Christ coming unraveled, unhinged, and undone? Why do so many feel empty and dry? Could there be something wrong with the way we are going about our labor for the Lord? I think of Mary and Martha, two sisters whose home Jesus often came to. He always found it perfectly suited to His needs. One time He began to teach, and Mary – who instinctively knew what was most crucial – sat at His feet, absorbing His presence and everything He had to say. Martha, who had much to do for Jesus, busied herself with work and became distracted by all the preparations and hustling about to make it more presentable, doing things for Jesus that He didn’t want done at all! Jesus kindly said that Martha was too busy with things that that didn’t need to be done. “Martha, Martha, you are worried and upset about many things, but only one thing is needed. Your sister Mary has chosen what is better, and it will not be taken away from her” (Luke 10:41-42). Excessive busyness is not a Christian virtue and spiritual maturity is not measured by the amount of work we accomplish. Rather, it is more important that God do His work in us. This was the point Jesus made regarding Mary and Martha. When you think about it, Jesus Himself was never that busy. Yes, He had an infinite job to do and only three years to pull it off, yet He was never hurried. His pace was always measured, deliberate, and slow. And when He withdrew to isolated places in the wilderness, it was to repair the damage done by the crowds. From the very beginning, God has been concerned about our compulsive work habits, trying to stop us from working all the time and getting us to take time for rest. That’s why He instituted the Sabbath – six days you shall labor, but the seventh day is a Sabbath to the Lord. On it you shall do no labor” (Exodus 20:8-10). It’s hard to rest when there is so much to be done, but God wants us to know that resting is one of the most important things we can do. To make His point, He had to make Sabbath-breaking a capital offense before anyone got the message (Numbers 15:32-36). Compulsive self-effort is rank unbelief. It’s a lack of faith in God’s provision. It’s the very thing that kept the children of Israel from entering into God’s rest. We are warned of the very same danger in Hebrews 4:1. Our lives depend on it. It’s a serious thing to work all the time and get no rest. We may work ourselves to death. Let’s be honest about it: So often we think that everything depends on us. We figure if anything is to get done, we’ve got to roll up our sleeves, pitch in, and do it. And so we labor on, working seven days a week, wearying ourselves – and missing out on God’s best for us. Is God calling you to a place called Cherith? The people God uses the most are those who have been there. This is the place where ravens fed Elijah – the place where we learn to be nourished by God. 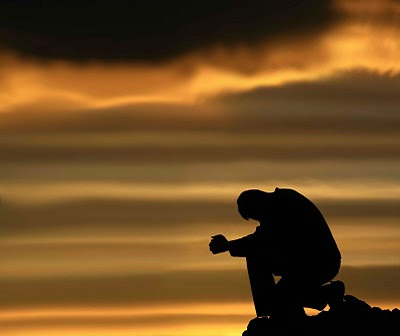 We need solitude, not mere privacy and time alone, but time alone with God. We don’t make our mark on the world by intellect, personality, excessive busyness or hard work through self-effort. Influence comes from within. It is the result of God doing His work within us. And that work is always done in secret. It used to be that churches saturated all their ministries with a discipleship emphasis rather than treating discipleship as something separate. It was the very core of all they did. Worship, music, fellowship, evangelism, and serving, were recognized as being part of the discipleship development process. Every activity in the church had a single goal – make disciples. However, a shift occurred when churches adopted a “program” approach to ministry, and for a while it seemed to work. But programs are dependent upon strong nuclear families and denominational loyalty to be most effective. Neither condition exists today as it once did. Yet many church leaders continue to work harder at using the same programmatic approach. The “program” approach to ministry has major problem – discipleship is treated as a separate program. For instance, small groups, worship, Sunday School, women’s ministry, men’s ministry, children’s ministry, and sports ministry are all treated as one thing, and discipleship as another. Instead, disciple-making should permeate ALL the ministries of the church, and no ministry should be allowed to exist that does not have disciple making as its main focus. After all, this is the primary work of the church (Matthew 28:19). Discipleship is not a Sunday night program. It is the focus of everything we do. The only thing required to do this is obedience. If you’re waiting for some kind of spiritual goose bumps before you feel responsible to the world or your community (which is your mission field), you’ve got it all wrong. It isn’t a question of emotion. It’s a question of submission. It isn’t a question of waiting until you get zapped from heaven. It’s not a question of closing your eyes and pointing your finger to a map on the wall that lands on South America and you say, “This is where God wants me to go!” It’s not even a matter of hearing the voice of God becaues He has already spoken. It's a question of submission and obedience to the already revealed will of God. I knew I had to change things. There was no other option. Healing from stress and fatigue is the place where I needed to begin, but restructuring the way I lived would keep me for the long haul. The habits or patterns of behavior that led me to the point of a near melt down were deeply embedded. The challenge of overcoming them was/is no small task. Although I have come out of my emotional ICU, I am not completely out of the woods yet. The chance of relapse – of falling back into overcrowded schedules – of jumping through too many hoops – of trying to please too many people – and worrying about the expectations of people – is a clear and present danger. That’s why an overhaul of my schedule and patterns of behavior is so essential. There’s one thing you learn from burnout: once you experience it, depression will never be far away. String a few failures together, or have a problem at home, and it’s easy to feel the shadows begin to blot out your view of the sun again. 1. Do Not Overproduce. I have always been a hard worker and an overachiever, even before I came to Christ. And when I did come to Christ, I simply gave those efforts to God. But it was a trap. No matter how much I produced, the pressure was always there to do more. I’ve come to realize that I don’t have to chain myself to an unrelenting cycle of producing more, making more, and doing more, or trying to outdo last weeks attendance numbers. I just have so much time in the day, and I want to do what I can, but I don’t want to kill myself in the process. So I’ve established some guardrails and made some restrictions in my life. The only person that can do that is me! It’s not a board decision or a response to complaints and expectations of others. It’s my decision, because if I don’t’ make it no one else will. 2. Steward My Energy. A leader’s greatest assets is not time. It is energy. A person well rested and full of energy can accomplish more in four hours than a fatigued person can in four days. With energy, a father can share quality time with his children building huge and lifelong memories, that simply spending time with them while fatigued would never accomplish. I’m certain that God would not have us squander our precious stores of energy on go-nowhere circumstances. Seems like unwise stewardship. Vegetating in the office or dissipating ourselves senselessly is an exercise in futility. I only have a finite amount of energy to invest each day, and how I invest it makes all the difference. In my youthfulness I was an energy dynamo plowing my way through hours, days, weeks, months, and years of work without proper rest or margin. Now, I have less energy reserves so it is important that I steward it properly. How and where I chose to invest my energy is the most important decision I will make on any given day. If I’m not careful and disciplined, my time energy will be squandered on e-mail, Facebook, religious debates, endless phone conversations, and useless activities. Consistently mis-investing my energy causes a level of exhaustion that feels like a low-grade fever. 3. Rest Well & Remember the Sabbath Principle. We are never more vulnerable to depression and burnout than when we are mentally fatigued and physically tired. One of the very first steps in reversing depression and regaining a new sense of resilience is rest. A lesson hard-learned on my part. Rest is not laziness. It is not a sin. Doing nothing is okay! Taking a break doesn’t mean you are a sluggard. Catching your breath every now and then doesn’t mean you are not carrying your load. Taking a Sabbath doesn’t mean your are less committed than the workaholics around you. Life will not be rushed, so get some rest. 4. Fight for Your Family. Someone once said that the darkest place of a lighthouse is always at its base. That can be said of our families. A pastor or Christian leader can shine a radiant beam of light to the horizon, while their own broken plumbing is flooding the house. One day after many years of ministry with a wonderful congregation, I will say my good-byes, pack my bags, and, with many tears, will clean out my office, and walk out of the church as its senior pastor. But when I walk out of the church, there’s only one place I can walk into. If I fail at building my home base, then I will have nowhere to go when my ministry days are over. Too many pastors, church staff, and leaders have sacrificed martial harmony and family on the altar of success. It’s not worth it. Here’s a fact. Not a judgment, mind you. Just a fact of life. While everyone in our great church loves me and my family, I have come to realize that nobody is fighting for my family. That’s my job. That’s the task God has given to me. Others may fight for pieces of my time and energy, but no one will fight for my family. Although I have two grown sons, a grandson, and others spread out all over the place, we stay very dialed-in as a family. Maintaining healthy relationships within the family is a full-time job! It’s relentless, but it’s worth it. I’ve discovered that a disciplined life is best for me. It suits me well. Having a healthy “cadence” contributes a great deal to being a healthy person. It is the daily, weekly, and monthly regimen that points me toward a life of abundance without regrets. Are You Overwhelmed and Fatigued? Actually, it’s a badge of honor to be tired in some circles. I am constantly around people who talk about the long hours, lack of sleep, and their crazy schedules. Here’s the deal: I used to be one of those people who bragged about how hard I worked, and was prideful enough to believe I was invincible. The truth, however, is that I was dumb because it was hurting me. I’ve experienced all of the above. If you follow my blog you will recall that I wrote a great deal about the topic of burnout and exhaustion at the beginning of this year. I had the kind of fatigue that sleep didn’t fix. Being around people triggered anxiety. I was operating on auto pilot. And it was taking its toll on me. Funny thing is, for years I believed it was normal to be stressed out and exhausted all the time as a pastor. This is stupid. But I was trapped. Knowing something needed to be done, I started taking action; mostly giving myself some margin and establishing boundaries. It’s six months into 2012 and things are better. I’ve learned a lot – mostly about myself – but I’m still work in progress. 1. I got counsel from trusted advisors (close friends). For me, my best counsel is found in other pastors. They know the world I live in, and they know the ropes. Having a confidant such as this helps me see why I do the things I do. Most of the time we try to deal with the symptoms and never get down to the root issues, but a trusted advisor can offer a clear perspective. 2. I created a diversion. This year I have adopted a new hobby – gardening. I have gotten a great deal of enjoyment from this endeavor. The labor intensive work gives me exercise, I like working outdoors, and harvesting the vegetables is very rewarding. More importantly, this garden project has created a diversion for me – taking me away from work-related pressure and personal problems. I have a place to go and something to do when I get there, which is a diversion. It has been very therapeutic. 3. I have built margin into my schedule and calendar. I’m not plugging every slot with another obligation or activity. I have left open spaces on my calendar. I am working regular work hours, and taking time off at regular intervals too. There is less noise, fewer phone calls, shorter to-do lists, and fewer evening meetings (which are the bane of family life). 4. I have changed my definition of success. God. Family. These are my highest priorities. I will not be married to the ministry. And I will not allow the demands of ministry (which is my vocation) to destroy the work of God within me. 5. I turned my phone off. This sounds shallow, but it has really helped me. They reason people get so exhausted is because the brain is never turned off. Disengaging from work is impossible if you are connected to social media and your phone 24/7. Just by turning my phone off so that I was not being constantly contacted was a big help for me. It helps me to be “in the moment” with the people I an actually with. 6. I am virtually inactive on Facebook nowadays. This too may sound shallow, but it has really helped me for the same reasons mentioned in #5 above. Since the first of the year I have posted about one comment per month on Facebook. Let’s face it. Facebook is fun, but it is also unhealthy. There are very few filters on Facebook, so it's easy for people say things online that they wouldn’t say in a normal conversation. They post pictures of themselves that are compromising. Not good. Then there are the middle-schoolish arguments, family secrets, and dirty laundry that gets aired. Plus, the constant inflow of messages from people (we sometimes barely know or don't even like) can consume a huge amount of time. It’s like a monkey on your back. 7. I’m staying physically active. 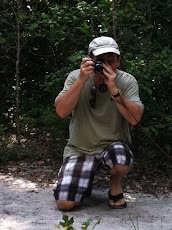 The last few months I have taken a break from running and jogging because of hip pain that has plagued me for years. However, I am maintaining an active lifestyle by eating smart, limiting sugar, exercising, and doing lots of outdoor work. I can feel the stress literally drain away when I’m physically exerting myself. I also intend to resume jogging soon. 8. I am going to take a Sabbatical – a long one. The world will do just fine without Ron Christian, and so will PCC. 9. I am thinking about succession planning. (No, I'm not going to elaborate on this point right now. I will in the future). 10. I am working primarily on the things I am good at. One of the reasons I was so exhausted is because I was involved in too many things with too many irons in the fire. Being a church planter/pastor means that everything I initiated over the years, by default were added to my maintenance list. In the midst of this maddening pace I found myself managing more than leading, and dropping as many plates as I was spinning. This hectic pace leads to inside erosion and a diminishing self-life for pastors. So I have pushed back from the workaholic pace, limiting myself to doing the things I am best at. I have also become very guarded about not allowing additional responsibilities to be added to my maintenance list. This makes me more effective in work performance, and keeps me mentally healthy as a person. Some things can go undone so that the necessary things get done. This is an update of my journey out of the fog. I hope it will help you realize that being an exhausted leader is not merely a side effect of the ministry. It is a sickness. As soon as I began to wade out of the swampland of mental fatigue and back to solid ground, the better I started getting. If you are overwhelmed and fatigued yourself (because of work or personal pressures), I hope that my experience and what I have learned will help you navigate your way through this difficult place. Don't give in or give up. Take charge. Take the bull by the horns, slap him across the face a couple of times, and remind him who is in charge. It's your life. If you won't protect yourself, no one else will.